Many thanks to lovereading.co.uk and Weidenfeld & Nicholson for the copy of this novel! 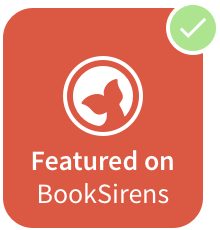 My opinions are all non-bias and I received this from the publishers in exchange for an honest review as I'm on the panel of reviewers at lovereading.co.uk! Alex has a story to tell. He just doesn't know what kind it is yet. He's got a lot of the same concerns most of us do growing up (exams, puberty and, in his case, a punctuation obsession plus a little quantum mechanics) but lately, ever since his brain surgery, everyone in his life is behaving more than a little mysteriously. Maybe it's adjusting to life after epilepsy or maybe it's the pressure of his pending scholarship application, but Alex is starting to see the world through different eyes. He's certain there's something rotten at the heart of his parents' marriage, and when his beloved hamster Jaws 2 starts acting up as well he decides it's time to investigate. When I was first given the chance to read Ostrich, I jumped at it. It's been compared to the likes of The Fault in Our Stars and Submarine, so naturally, I was immediately drawn to it, especially as John Green's novels are always surrounded by so much hype and love. The cover! Wow. The UK edition is bright orange and so retro, not to mention gorgeous. I recently read and reviewed Where'd You Go, Bernadette by Maria Semple, and there was a quote by her on the cover that claimed it was irresistible...I knew right then that I was going to be reading that ASAP. I knew right away this was something unique. Not just unique...it was one of a kind, a mesmerising, detailed look into the complicated life of Alex. He was a character that many readers long to read about; Matt Greene gave us a deep look into the life of Alex with a witty, quirky character with a real story tell. 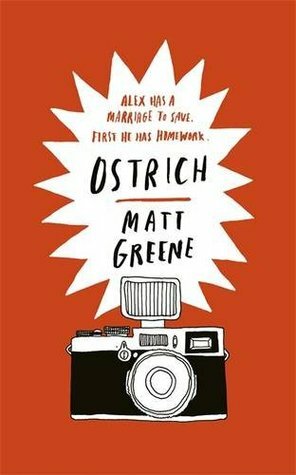 Half way through Ostrich, I recalled that it reminded me of when I read The Perks of Being a Wallflower because of in the way Matt Greene had given us a detailed look into Alex's life in the way he told his story in a very truthful, intuitive way. It was slowly placed, and that was perfect for the genre it was set in, as to not rush the story along, and I loved that it was that way. It was downright hilarious in places that literally made me want to write all these different quotes down to write with my review, but there were so many witty one-liners that I kept picking a different favourite! Alex was just such a smart, funny and knowledgeable young boy, and that opened up my eyes to how refreshing it was to read about such an extraordinary character. He wasn't naïve and understood everything about his brain surgery and just how much his parents loved him. There was this one quote that stood out as my favourite. It's about Alex saying that he is his mother's world. And she would die for him. That, is what I call truly connecting with the reader. Overall, Ostrich was a story about life's ups and downs, and how unexpected it can truly be. It was a pure and beautiful novel with everything you'll need to make you laugh, cry and leave you with memories of how whimsical this twelve-year-old boy was, and how wonderful his story really was. Of course, this would have nothing short of five stars. Of all the books in my TBR list, this one stood out the most, and not just because of it's tangerine colour, haha. It was one of those reads that just left me feeling like I'd read something that I knew was going to be liked and loved by everyone. And although it might not be everyone's cup of tea, it surely was mine.